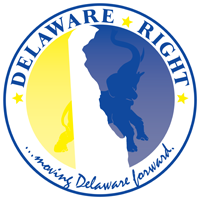 From the Board of Directors, Staff, and Volunteers of DelawareRight.com, we wish everyone a Happy and Healthy Thanksgiving and upcoming Holiday Season. If you travel to see family and friends, please be careful, have a designated driver to get you home safely so you can enjoy tomorrow. For the ones that do go shopping later this evening try to be nice to the other person who is grabbing for the 85” TV you just have to have. Think of the employees who are not shopping after having a ‘feast’ with their family, so you can be one of 1000 people at the ‘big box’ store trying to get one of the 15 X-Boxes so your kid will love you until his next birthday. Be Thankful for what you have, as some of our friends will be celebrating this season without someone special. Be thankful for what is at the table with you, raise a glass to those who are not, and of course, please, Please, PLEASE discuss ObamaCare with Aunt Judy. One Comment on "Happy Thanksgiving From Delaware Right"
My prayers and well wishes to Sussex County Council member Sam Wilson for a speedy recovery from his recent open heart surgery.